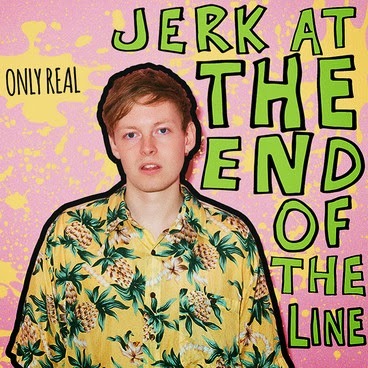 One of our honourable mentions in yesterday's Anticipated Spring LP post, Only Real's Jerk At The End Of The Line is now available for online streaming via Youtube. We previously shared the catchy slacker rock vibes of "Can't Get Happy" and luckily for us the whole LP continues that way. It features other previously heard tracks, "Yesterdays" and "Pass The Pain", "Backstreet Kissers" and "Blood Carpet", showing Only Real to be the only real challenger to Jamie T's previously unchallenged slacker rock/rap mantle. It's playful and positive from start-to-finish, and we love how barring that small comparison we've just made, Only Real are as individual as you could possibly hope. Grab a pre-order of Jerk At The End Of The Line, which is out on March 30th, from the band's official site.